At the foot of the Sainte-Anne-la-Palud chapel, a wonderful holiday village welcomes you for your stay in the serene, sunny and open surroundings of Plonevez-Porzay. 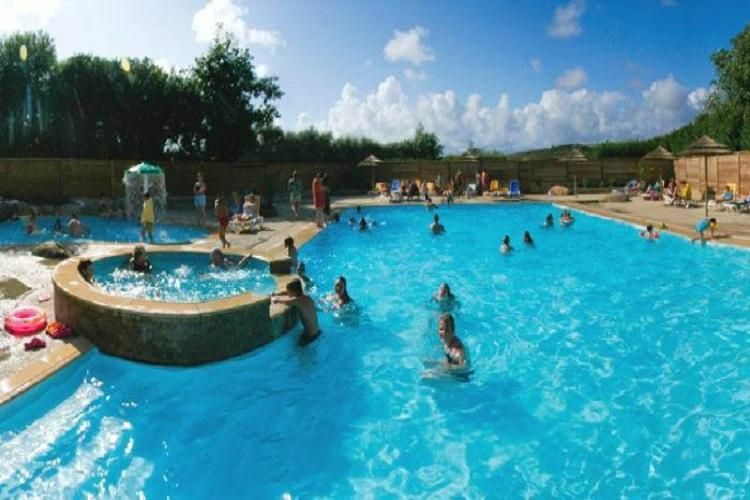 By the sea, the La Plage de Tréguer campsite offers you direct access to the beach. 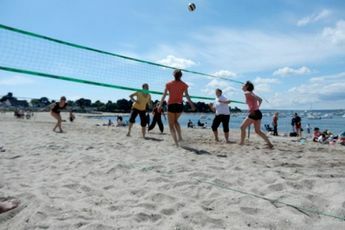 Come with your family and enjoy all the leisure activities and the charm of a holiday by the sea. Within the La Plage de Tréguer campsite, everything is provided for your relaxation and entertainment. During high season, the swimming complex opens its doors on a beautiful outdoor swimming pool with water sports, a paddling pool and fountains. A relaxation area with hot tubs and a Solarium is situated close to the swimming complex.
) and lovely dinners under the stars. Furthermore, its play area for children offers inflatable play equipment pto the delight of the children. Awarded the Camping Qualité label, La Plage de Tréguer campsite offers prestigious accommodation and top quality service. 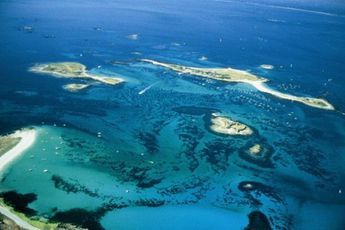 In high season, it offers you a grocery shop, a snack bar and a gourmet restaurant "Les Dunes" for your greater comfort. Finally, for a change of scenery, why not take a wander around the surrounding area and visit the Presquîle de Crozon to benefit from an invigorating getaway. 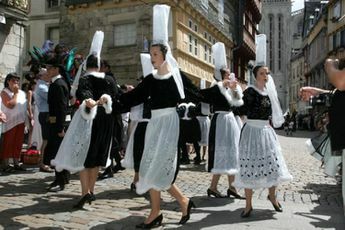 Enjoy a camping holiday in the heart of Finistère, land of legends and traditions. Discover, with your family, exceptional natural sites such as the Pointe du Raz, Presquîle de Crozon, or the Îles dOuessant and Molène in the heart of the Parc Naturel Marin d Iroise. 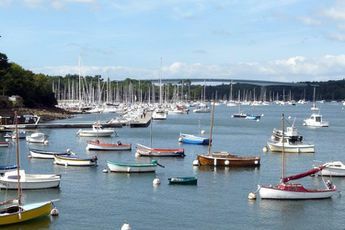 Holidays in the Bretagne region : are like a breath of fresh air!